When restoring a classic Mopar or AMC vehicle, it can be difficult to get those last few components installed and working like they did from the factory. With more than 15 years in business and a lifetime of experience, we can help you restore your interior components to new or better condition. Whether your working on a concourse correct restoration or a resto-mod, we will work with you from concept to installation. Trust in us to help get your baby back on the road and working flawlessly for many years of enjoyment. We help our clients finish their classic car restorations once and for all by providing fully-restored, turn-key interior components such as Instrument Clusters, Fully Rebuilt, Calibrated and Tested Factory Original Gauges, Clock Conversions, Steering Column Rebuilds, Wiring Harness Remanufacturing, Ammeter Fireproofing, Gauges Refacing, Radio Upgrades and even Full Dashboard Restorations in some cases. 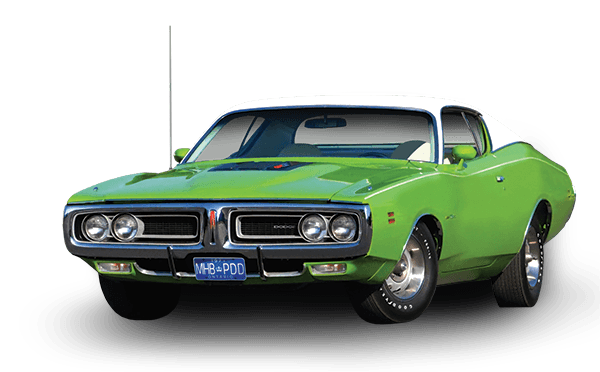 Our shop is exclusively focused on Mopar/AMC enthusiasts, and as such we are fully equipped to handle any interior restoration project, whether you want to Restore Yours or have us Source a Part for you, We have a full automotive paint booth on site as well as a variety of proprietary tools, jigs, equipments, documentation and techniques for the many complex projects that are involved when restoring interior components in old Mopars. Whether your car is a concourse perfect show car, a resto-mod or a daily driver, we have everything you need to get your 1960-1980 Chrysler, Dodge, Plymouth or AMC car, truck or motor home into the best shape of its life. And if you’re more of a DIY kind of guy (or gal), we design, manufacture and sell a variety of Restoration Parts for All Makes and Models in the Mopar/AMC family. You can find our Cluster Circuit Boards, Dash Re-Facing Kits, Laser-Cut Gasket Kits and more for sale on our sister site, PremiumDashDecals.com, and through our network of well-known distrubutors such as Classic Industries, Firestone Collectibles and more. Contact us by email or phone (+1 613 532 2587 ) and chat with us about your project. We can restore your existing components, pull from our extensive library of core parts or source something specific using our network of part suppliers. Once we have organized shipping, or you have dropped of your components to our shop (by appointment), we will inspect the condition of your parts and photograph everything we receive. Before any work begins, we will contact you to discuss our recommendations and your requirements, as well as to provide a price estimate. We restore your components as if they were going in our own car, and test them even more thoroughly using our quality audit system. Once you have the parts back in your hands, they are turn-key ready to install, but we understand that isn’t where the process ends. Feel free to contact us with any questions about your components and we will do everything in our power to help you ensure a perfect installation. 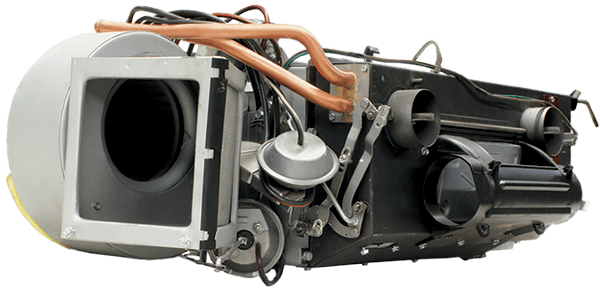 We restore heater and AC equipment for all classic Mopar and AMC models, including vent buckets (if equipped) and heater controls. 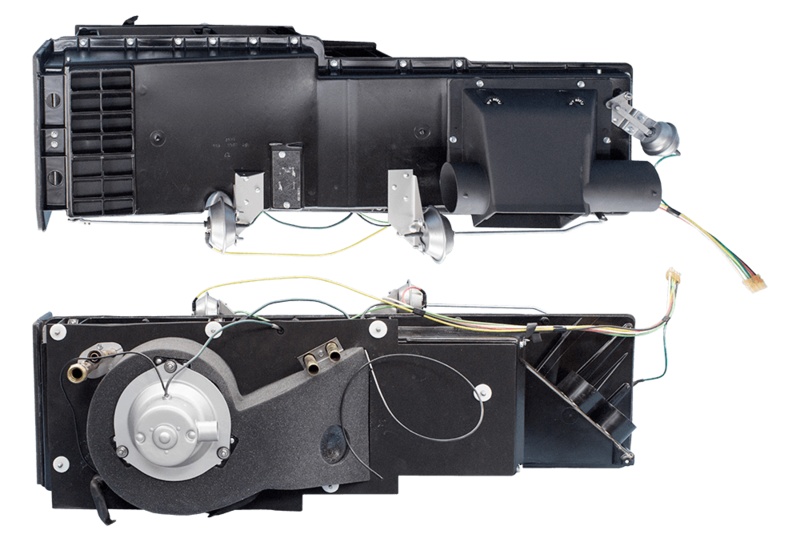 We will fully disassemble every component and ensure that there isn’t a speck or rust, or a single whiff of the typical mouse smell that is often found in a classic vehicle. Make sure you’re as cool as your car is and cruise in style and comfort. We will work with you to suit your particular needs. The majority of our restorations come with a re-facing and our high-quality reproduction circuit boards for absolute reliability. Well lubricated and thoroughly broken in to ensure smooth, leak free operation. Better than the factory, guaranteed! Heater controls, heater boxes, vent buckets, clocks, gauges, clusters, pedal boxes, wiring harnesses, steering columns and so much more! If it’s not and engine or a drive-train we have you covered! Headaches? Not with us on your side. We invest a great deal of time and resources into our Research and Development in order to produce the best result for your restoration. 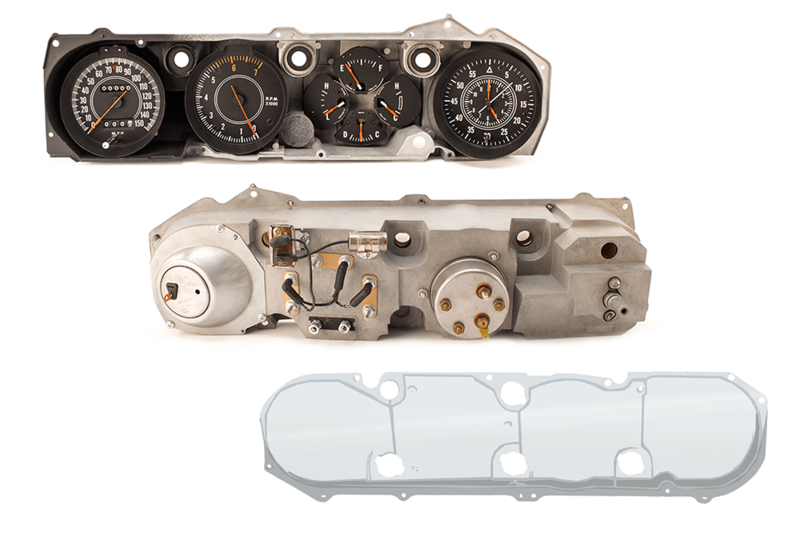 We’ve invented number different tools, jigs, testing equipment, documentation and concourse correct OEM finish recipes to ensure that we’re able to offer the best component restoration possible. 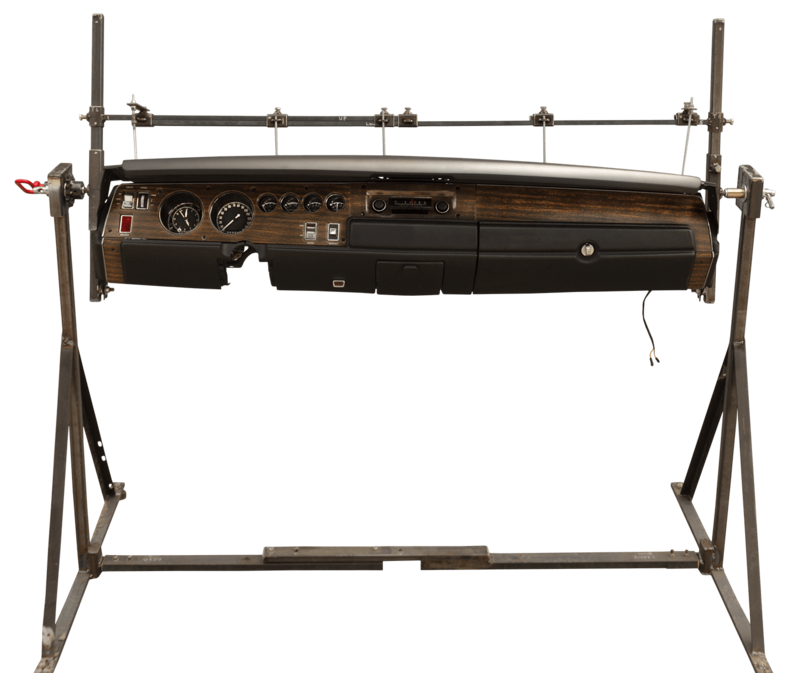 The cluster rotisserie on the left is custom designed and built by our team to fit any classic Mopar or AMC dashboard. 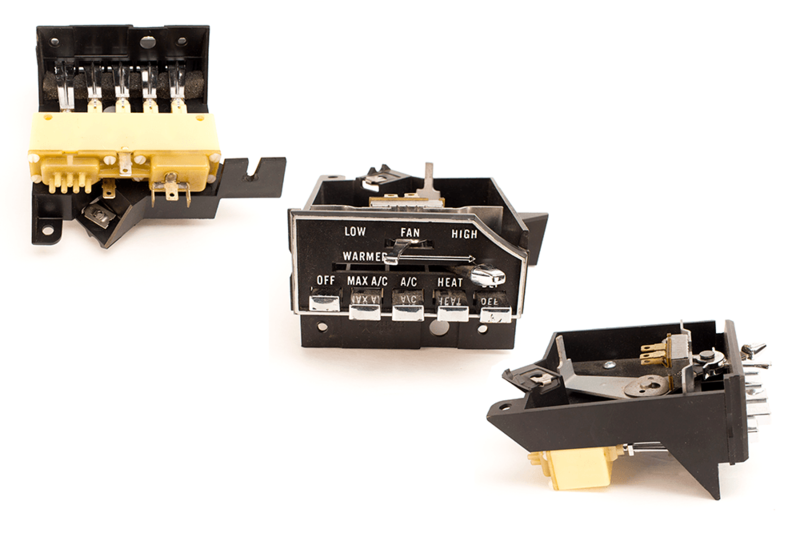 It allows us to easily replace any component while keeping the frame square and true. We’re not happy until you are!